Shiny Mega Claydol in game: 4 Who? Important notice! Pokemon Shiny Mega Claydol is a fictional character of humans. 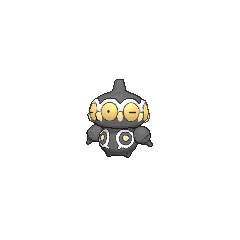 Claydol (Japanese: ネンドール Nendoll) is a dual-type Ground/Psychic Pokémon introduced in Generation III. It evolves from Baltoy starting at level 36. Claydol is a large, black Pokémon that resembles a mud statue with two stubby legs. It has a wide, spherical head with a rounded protrusion on top. Around its head are many large, pink eyes with yellow, beak-like protrusions between each. A wavy, white rim runs along the upper edges of the eyes. Its torso has white ring markings, each with a downward extension and yellow dot in the middle. It has spherical arms with a rounded protrusion that are capable of firing beams. These arms are not attached to its body, but are usually kept floating close by Claydol's psychic powers. Claydol uses the same telekinetic abilities to move and float through the air. It lives in rough terrains. Claydol's first appearance was in Claydol Big and Tall. A giant one was released from a giant stone Poké Ball and had to be stopped from getting to a village. Robert used a Claydol along with Milotic in a two-on-twoContest Battle against Drew's Flygon and Masquerain in the finals of the Hoenn Grand Festival in Rhapsody in Drew. In Ka Boom with a View!, Spenser used a Claydol against Ash as his final Pokémon. With its Hyper Beam, Psybeam, Rapid Spin and Teleport, it quickly defeated Ash's Swellow, and it proved to be a challenge for his Sceptile. It was later defeated by Sceptile's newly learned Solar Beam. Three Claydol appeared in Arceus and the Jewel of Life under the ownership of Damos. In Bucking the Treasure Trend!, a wild Claydol appeared guarding the treasure in Dandelion Island. It proved to be a strong Pokémon, standing up to Dawn's Piplup and Ash's Torterra. It was eventually caught by Buck. Ash battled a Claydol during the beginning scenes of Lucario and the Mystery of Mew. A Claydol appeared in the beginning scenes of Zoroark: Master of Illusions. AG104 Claydol Ash's Pokédex Claydol, the Clay Doll Pokémon. Claydol is the evolved form of Baltoy. These ancient Pokémon are said to come alive when a mysterious light instilled life into clay creatures breed in ancient times. Claydol can fly and are able to fire beams from both arms. DP181 Claydol Dawn's Pokédex Claydol, the Clay Doll Pokémon, and the evolved form of Baltoy. Claydol is said to have come to life when an ancient doll made from clay was exposed to mysterious light. A Claydol appeared in The Magma Stone, under the ownership of Buck. 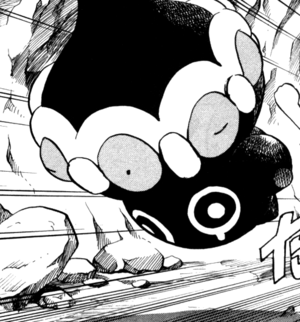 In the manga adaptation of Arceus and the Jewel of Life, Marcus owned two Claydol. He used them to attack Arceus. 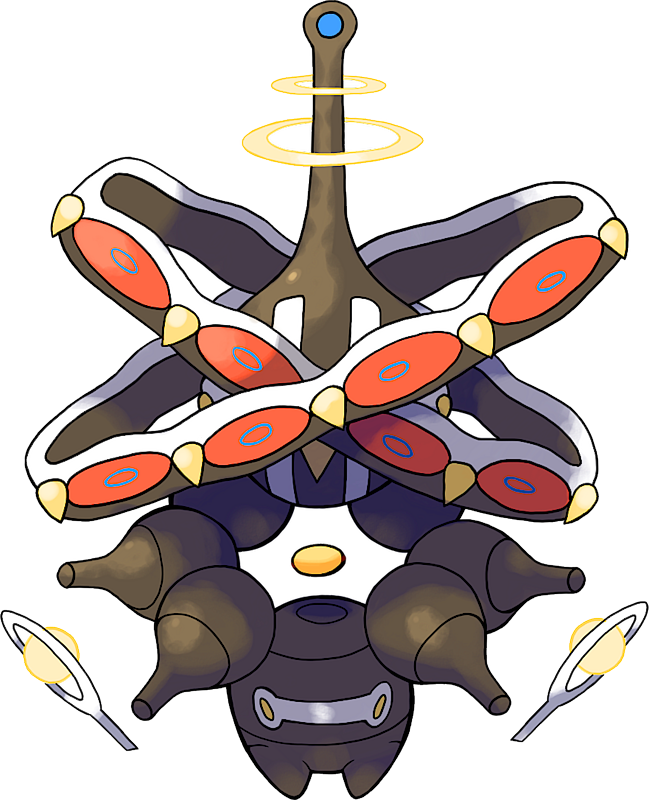 Wild Claydol have been seen from time to time, while one of its species was one of the brainwashed rental Pokémon that Guile Hideout stole to manipulate from the Battle Tower. Like in the games, Claydol is Buck's main Pokémon. In the Platinum chapter, Buck uses it to fight off Team Galactic at Stark Mountain in an attempt to protect Heatran and the Magma Stone. Claydol is an enigma that appeared from a clay statue made by an ancient civilization dating back 20,000 years. This Pokémon shoots beams from both its hands. A Claydol sleeps while hovering in midair. Its arms are separate from its body. They are kept floating by the Pokémon's manipulation of psychic power. It appears to have been born from clay dolls made by ancient people. It uses telekinesis to float and move. It is said that it originates from clay dolls made by an ancient civilization. This mysterious Pokémon started life as an ancient clay figurine made over 20,000 years ago. 51%-100% HP Hovering in the air is quite pleasant, actually. 26%-50% HP This is ominous. My HP is half depleted already. Level up Level-up secured! My psychic power grows and grows! It scatters mysterious energy orbs. It also lets loose psychic energy waves to attack. This Pokémon lives in the Granite Zone. When it's time to play, you'll find him at either Rhyperior's Bumper Burn or Rotom's Spooky Shoot-'em-Up. For other sprites and images, please see Claydol images on the Bulbagarden Archives. No other Pokémon has the same type combination as Claydol and its pre-evolution. 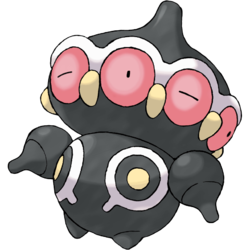 The symbols on Claydol's chest and back resemble the Q form of Unown. Claydol has the highest Special Defense base stat of all Ground-type Pokémon. Claydol's design is similar to the 遮光器土偶 Shakōki-dogū—a "spaceman" clay figurine from the Jōmon period of Japanese history. 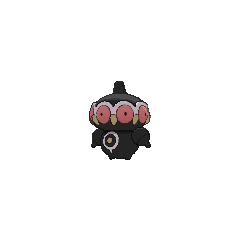 Claydol is a combination of clay and idol or doll. It may also involve dreidel due to Claydol's pronunciation and its pre-evolution Baltoy's similarity to tops. Nendoll may be a combination of 念 nen (thought), 粘土 nendo (clay), and doll. Nen is found in various compounds having to do with ESP-related phenomena, such as 念写 nensha (spirit photography) and 念動 nendō (telekinesis).